There’s nothing better on a Sunday morning than to sit back on the sofa, with a newspaper, sipping on a cup of coffee. But after a few months of doing this, you might start to notice some stains appearing on your sofa. Coffee stains can be really devastating to the look of your sofa; particularly if you have light coloured furniture. There is a way that you can remove these coffee stains though, and get your sofa looking new again. Soak up as much of the spilled liquid as possible immediately. Mix one teaspoon of mild detergent with a cup of warm water and then start blotting the stain from the outside inwards. Mix one part white vinegar with two parts water and blot again. Once you’ve soaked up the excess liquid and let it dry, you should see that the stain has been removed. It’s important to keep your furniture looking and smelling fresh, but it’s not always that easy to do. You should make it a habit to vacuum the sofa every time you vacuum the carpet as it attracts just as much dust as well as other allergens. Using a throw is also a good way to minimize the amount of dust getting into the fabrics. But every now and then, you might need to get help from a domestic cleaning company London that specialises in upholstery cleaning services. These professional sofa cleaners London can give your furniture a thorough clean. They will know exactly which products and methods to use according to the material and they will be able to get the sofa looking as good as new again. 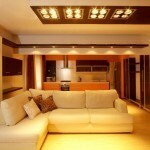 So for an outstanding upholstery cleaning service London give the professional cleaners a call.